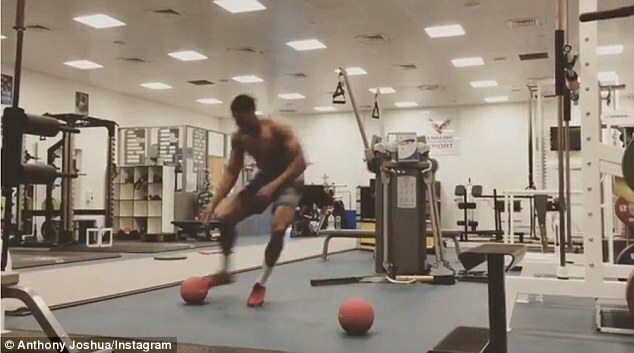 Anthony Joshua will ‘bulldoze’ Wladimir Klitschko in December to officially end the era of dominance enjoyed by the Ukranian heavyweight and his elder brother Vitali. That is the opinion of David Haye, one of the many heavyweights who tried and failed to depose the Ukrainian siblings over the past decade. 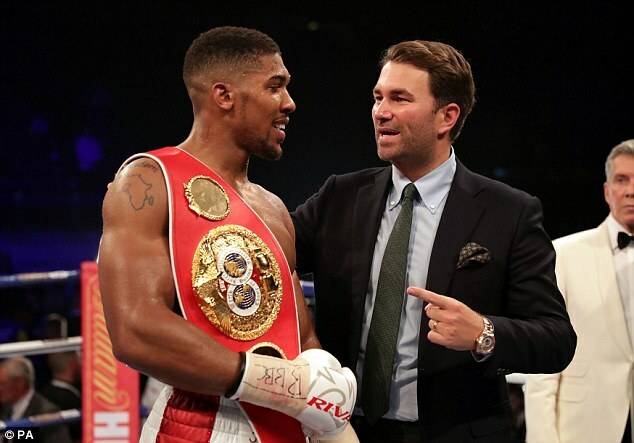 IBF world champion Joshua is expected to face the younger of the two, Wladimir, in December in what is set to become the richest heavyweight fight ever held on British soil. The pair are set to split as much as £15m for the clash, which could also include one of the titles vacated by Tyson Fury last week. And Haye believes it will be a case of easy money for Joshua, against the spent force of Klitschko, who has not boxed since losing to Fury in Germany last November. 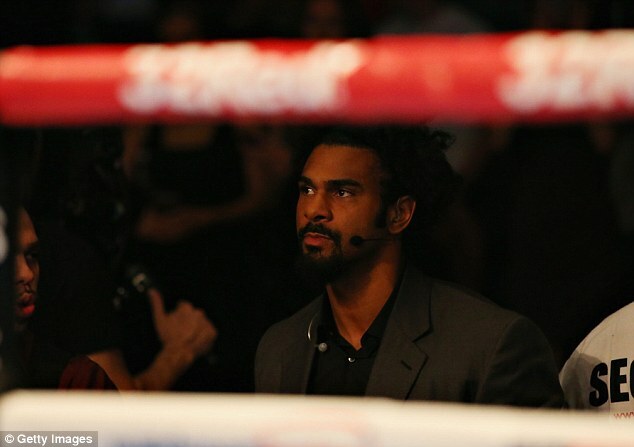 Haye said: ‘Joshua has got him at the perfect time. Klitschko is not the man he used to be – I think he’s finished. ‘His punch output against Fury was shocking and against [Bryant] Jennings in the fight before that, he was jabbing and holding all the time. Joshua is too fresh, too young, too enthusiastic and Klitschko is just old. Just look at his last two fights, they were very poor. 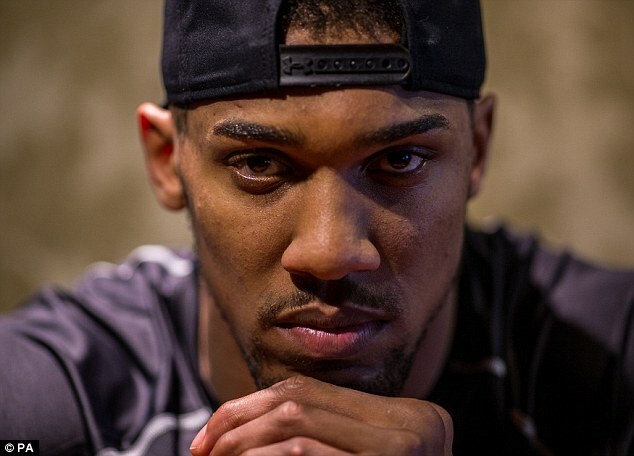 ‘He didn’t seem right in the head and it is very much out of character for him to come over to fight in the UK. The elder of the Klitschko brothers, 45-year-old Vitali, is currently the mayor of Kyiv having retired in 2013 to pursue a career in politics. The three-time world champion walked away from the sport having lost just once in his last 13 years of competition. 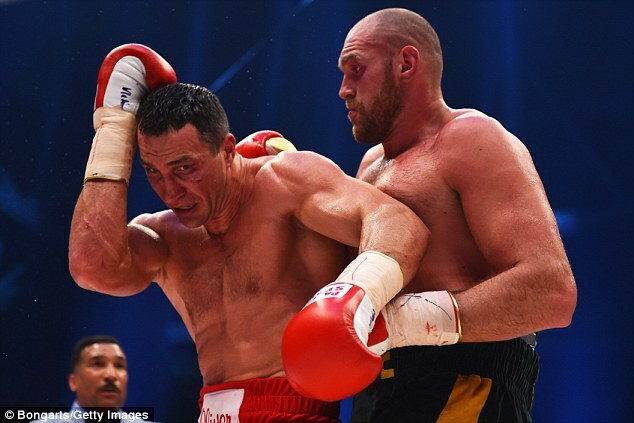 Wladimir, meanwhile, refused to retire after his stunning defeat to Fury, which was his first loss in 11 years, with the 40-year-old insistent he is still well placed to claim another world title. But Haye, who was beaten on points by Wladimir in Hamburg in 2011, says Joshua is the man to usher in the new generation of heavyweights and likened the upcoming clash to the sad finale of Muhammad Ali’s career in 1981. ‘Joshua-Klitschko kind of reminds me of the Trevor Berbick-Ali fight,’ he said. ‘This former great fighter in against a guy who is young and fresh. ‘The youth takes it. Ali was coming off a loss against Larry Holmes, the same way Klitschko is – and they are both 40. 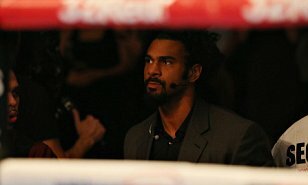 Haye is himself hoping to fight Joshua next year and is also planning to box in December, with an announcement on opponent and venue expected this week. But, despite turning 36 on Thursday, he has no intention of hanging up the gloves yet.